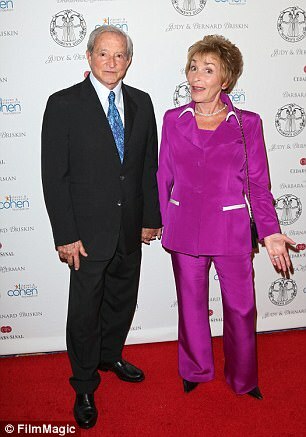 Judge Judy Sheindlin’s rulings are not always final it seems, especially when it comes to her love life. 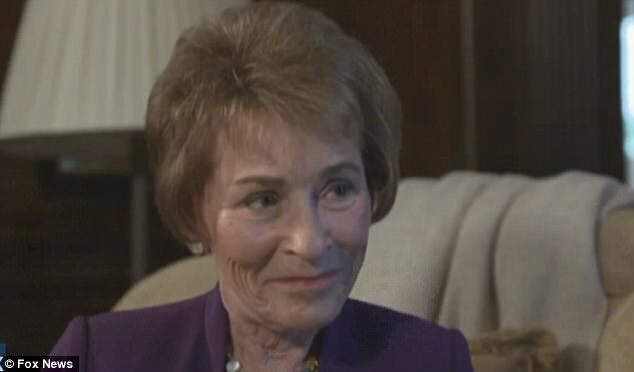 The 74-year-old jurist-turned-television star is speaking out about her personal life in a rare interview, revealing that she divorced her first husband over his disregard for her career and got rid of her second husband when she grew tired of catering to his demands. That second divorce was a brief one however, with Shiendlin making the decision to remarry husband number two after just one year apart. Twenty-seven years later, she and second husband Jerry are still going strong. ‘I missed him, I missed him and I really found out – this is not to denigrate your species – actually, most men are alike,’ says Shiendlin of her split from Jerry on the premiere of the Fox News show OBJECTified,’ which airs at 8pm this Sunday. 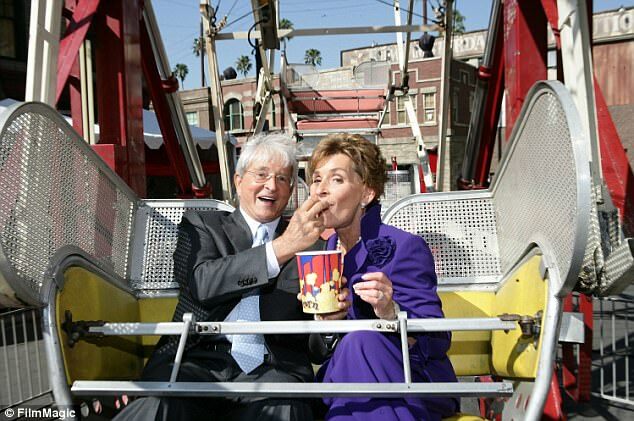 Sheindlin married her husband Jerry back in 1977 while working as a prosecutor in the family court system. Over the next 13 years the couple rose up the ranks in the legal system, with Jerry taking a post on the New York Supreme Court and Sheindlin being appointed as a family court judge by Mayor Ed Koch. Things took a turn though in 1990, leading to the couple’s divorce after 14 years. It was a brief separation however, which came soon after Sheindlin lost her father, but in the end she says she learned some valuable lessons. ‘I just had to come to terms with the fact that men of that generation are different,’ explains Sheindlin. Things were even more difficult for Sheindlin after her first marriage back in 1964 to attorney Ronald Levy. She had just graduated and was soon to pass the bar exam, but her life as an attorney on hold to be a housewife. ‘It was time for me to get married. I was 20, almost 21. So I became a mom,’ says Sheindlin of hr thinking at the time, going on to say that she soon grew bored. She also began having trouble with how her husband treated her desire to work. ‘My first husband is a lovely, lovely man but he always viewed my job as a hobby and there came a time where I resented that,’ explains Sheindlin. The two were divorced after 12 years in 1976, and the following year she married Jerry. She brought two children into the relationship – daughter Jamie and son Adam – while Jerry had three children from his first marriage: Gregory, Jonathan and Nicole. Sheindlin’s success made her one of the first women in the country to become a judge, and yet when asked about this or if she considers herself a feminist, Sheindlin is surprisingly dismissive. ‘I don’t feel as if anything that has happened to me in my life was sidetracked because I was a woman,’ she reveals, downplaying her success. In testimony given back in July 2016 that was recently released and obtained by The Hollywood Reporter, Sheindlin described the unorthodox way that she negotiates her salary with CBS. ‘We go to the Grill on the Alley with the president of the company. We sit across the table, and I hand him the envelope and I say, “Don’t read it now, let’s have a nice dinner. Call me tomorrow. You want it, fine. Otherwise, I’ll produce it myself.” That’s the negotiation,’ explained Sheindlin. In that same testimony Sheindlin also said that she could produce the show herself if she wanted, earning another $20 million a year on top of her current $47 million salary. Sheindlin’s testimony came in a deposition in response to a complaint filed by Richard Lawrence of Rebel Entertainment. 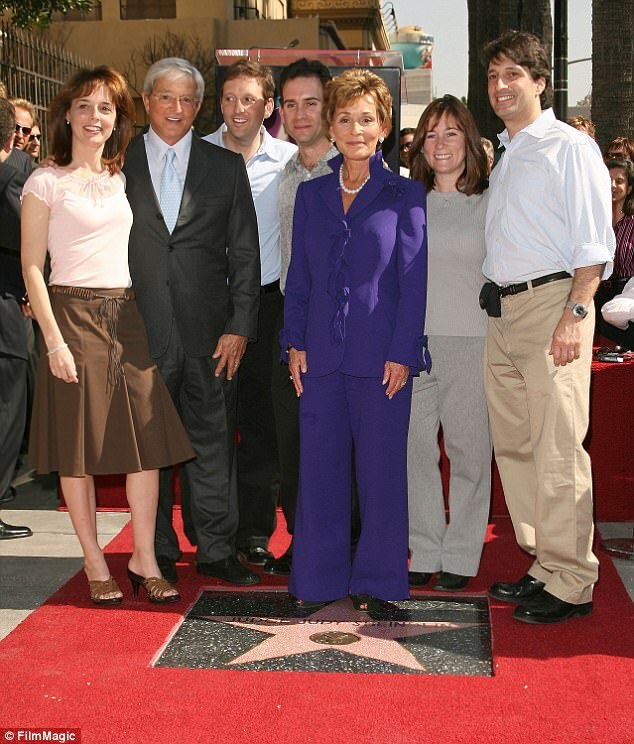 Lawrence claims that he and his company helped Sheindlin and CBS put the show together back before it debuted in 1996, and as a result are entitled to 5% of net profits, but have not seen any money in years. Lawrence claims in his filing he stopped seeing in money in 2010, shortly after Sheindlin’s salary increased to $45 million a year for the show. Sheindlin immediately fired back at Lawrence after he submitted his complaint, saying: ‘The fact that Richard Lawrence is complaining about my salary is actually hilarious. ‘I met Mr. Lawrence for two hours some 21 years ago. Neither I nor anyone involved in the day-to-day production of my program has heard from him in 20 years. Not a card, not a gift, not a flower, not a congratulations, yet he has somehow received over $17,000,000 from my program. Lawrence called Sheindlin overpaid in his initial filing, no doubt because the larger her salary the less money he and his company would make due to the fact that they receive a percentage of only the profits. 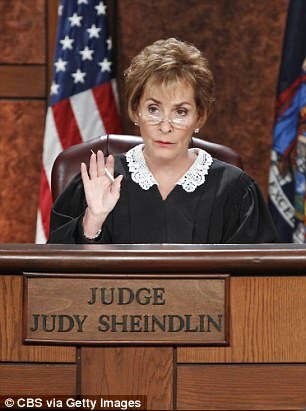 ‘And in 2013, when Scheindlin [sic] was reportedly receiving $47 million annually, no one else came close, as the next highest salaries in non-scripted television were Jon Stewart ($30 million), Matt Lauer ($25 million), and Jay Leno ($20 million),’ claims the court filing. ‘In making this deal with Scheindlin [sic], Defendants blithely ignored their contractual obligations to Rebel. As a result, almost immediately after Scheindlin’s [sic] pay raise, Rebel’s backend compensation nosedived. Sheindlin addressed her pay in her July testimony, claiming that her lucrative contract benefited Lawrence. ‘Mr. Lawrence should actually be kissing this right in Macy’s window because my contract with CBS for more than a decade now does not include a last look, which means the following,’ said Sheindlin. And should CBS try and negotiate, Sheindlin has a response for that at the ready, not thjat she had ever needed it thus far in her career. ‘You have corporate stockholders to respond to. I have nobody except my grandchildren,’ said Sheindlin.